Scholarships - Professional Jamaicans for Jamaica, Inc. Scholarships are excellent ways to obtain financial assistance for tuition, books, or to offset other educational costs. In honor of Ms. Esmie L. Walters, Professional Jamaicans for Jamaica, Inc. have established an essay competition in her name to recognize her commitment to education in Jamaica. This scholarship will be awarded to a high school student in Jamaica with the Best Written Essay. Dr. Rashida Biggs Academic Scholarship was established to recognized her commitment to education and will be awarded to up to Twenty (20) high school students with a minimum 75% Overall GPA; and a minimum 85% average in English. Mr. Ryon Mallett Academic Scholarship was established to recognized his commitment to education and will be awarded to adolescent male high school students who are determine to exceed in their educational development, but faced with financial difficulties. The Ladies by the Well Academic Scholarship was established to recognized the group's commitment to education and will be awarded to adolescent female high school students who are determine to exceed in their educational development, but faced with financial difficulties. 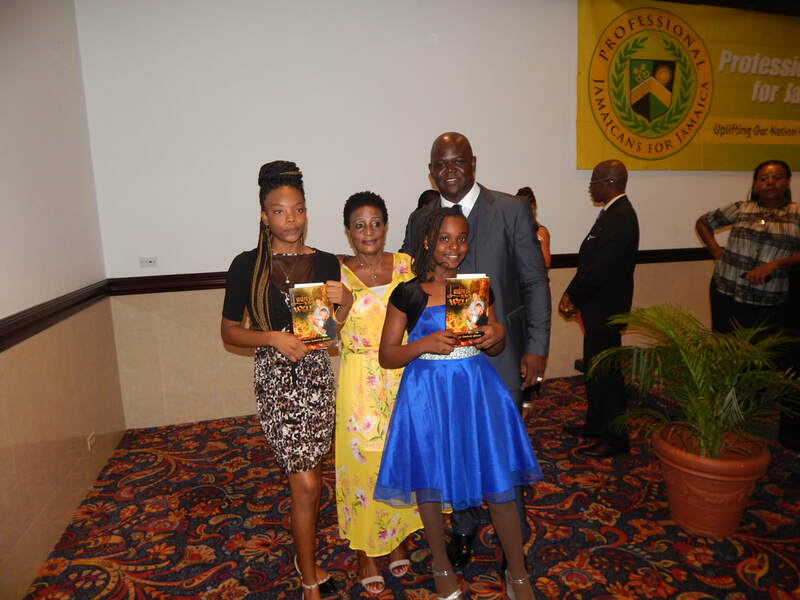 The Taylor Family Academic Scholarship was established to recognized the family's commitment to education and will be awarded to three (3) female GSAT students who will attend high school in the new school term and determine to exceed in their educational development, but faced with financial difficulties. ​The Oshnel Bryan Memorial Academic Scholarship was established in memory of our past scholarship recipient, Oshnel Bryan, who passed away in 2018 and will be awarded to three (3) male GSAT students who will attend high school in the new school term and determine to exceed in their educational development, but faced with financial difficulties. For the 2019/2020 academic year, full and partial scholarships will be awarded to students attending high schools in Jamaica. Applicants must meet the minimum grade point average requirements and attend high school in the upcoming academic year. Scholarship funds will be paid directly to high schools at our Annual Awards Ceremony in August 2019. Students MUST be present for the award. Applicants must have the endorsement of their school administration on their application attesting they are qualified for this scholarship program.